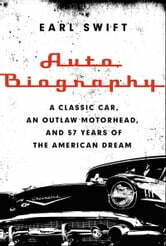 A brilliant blend of Shop Class as Soulcraft and The Orchid Thief, Earl Swift's wise, funny, and captivating Auto Biography follows an outlaw auto dealer as he struggles to save a rusted '57 Chevy—a car that has already passed through twelve pairs of hands before his—while financial ruin, government bureaucrats and the FBI close in on him. Slumped among hundreds of other decrepit hulks on a treeless, windswept moor in eastern North Carolina, the Chevy evokes none of the Jet Age mystique that made it the most beloved car to ever roll off an assembly line. It's open to the rain. Birds nest in its seats. Officials of the surrounding county consider it junk. To Tommy Arney, it's anything but: It's a fossil of the twentieth-century American experience, of a place and a people utterly devoted to the automobile and changed by it in myriad ways. It's a piece of history—especially so because its flaking skin conceals a rare asset: a complete provenance, stretching back more than fifty years. So, hassled by a growing assortment of challengers, the Chevy's thirteenth owner—an orphan, grade-school dropout and rounder, a felon arrested seventy-odd times, and a man who's been written off as a ruin himself--embarks on a mission to save the car and preserve long record of human experience it carries in its steel and upholstery. 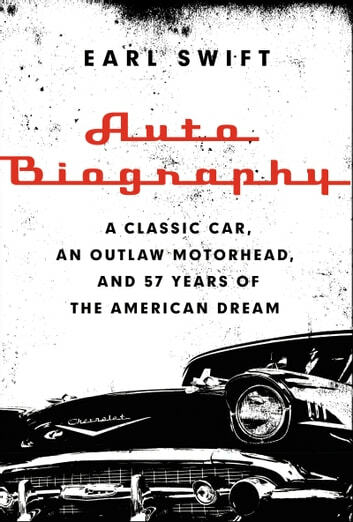 Written for both gearheads and Sunday drivers, Auto Biography charts the shifting nature of the American Dream and our strange and abiding relationship with the automobile, through an iconic classic and an improbable, unforgettable hero. CHRONICLES OF AN AMERICAN TRUCKER: Which Way is the Road to Happiness?